Jatropha curcas L., a multipurpose shrub, has acquired significant economic importance for its seed oil which can be converted to biodiesel an emerging alternative to petro-diesel. In addition to the commercial value, it is also having medicinal and even high nutritional value to use as animal fodder which is limited due to the toxicity. Development of molecular marker will enable to differentiate non-toxic from toxic variety of J. curcas in a mixed population and also for quality control since the toxic components of J. curcas has deleterious effect on animals. In the present study, the efforts were made to generate the specific SCAR marker for toxic and/or non-toxic J. curcas from RAPD markers. 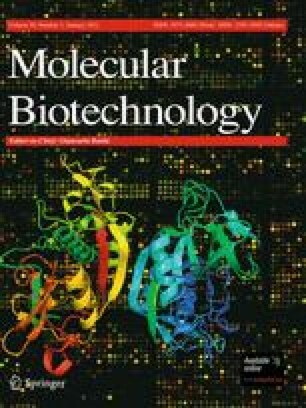 Among the markers specific for toxic and non-toxic varieties, four were selected, purified, cloned, sequenced, and designed primers out of which one set of primers NT-JC/SCAR I/OPQ15-F and R could able to discriminate the non-toxic with toxic Jatropha by giving expected 430 bp size amplification in non-toxic variety. Furthermore, novel multiplex PCR was designed using the nrDNA ITS primers to overcome the false negatives. Present work also demonstrates utility of the conserved regions of nrDNA coding genes in ruling out the artifacts in PCR-like false negatives frequently occur in SCAR due to various reasons. The specific SCAR markers generated in the present investigation will help to distinguish non-toxic from toxic varieties of J. curcas or vice versa, and isolated marker along with designed multiplex protocol has applications in quality control for selective cultivation of non-toxic variety and will also assist in breeding and molecular mapping studies. We are thankful to Council for Scientific and Industrial Research, New Delhi, India, for its financial support and for research associate fellowship. We would like to thank Professor B. N. Tiwari, Head, School of biotechnology, for his kind support and encouragement.